Financial advice to wealthy families should be comprehensive and objective. Most advisors can’t (or don’t) do that. Wealth complicates matters. Wealthy families have not only more varied investments, but a wider range of goals, and maybe most importantly, greater exposure to financial risk. So financial advice to wealthy families should be comprehensive, providing for protection as well as growth; strategic, based on a comprehensive understanding of the family’s holdings and objectives; and integrated, investments and tax planning coordinated to work together to serve the family’s long-term financial goals. Comprehensive, integrated and strategic advice – we have focused on building that capability within our firm. Few firms attempt to build that kind of infrastructure or can match our capabilities in that area. The HBKS® Wealth Advisors’ client experience starts with their advisors gaining a deep understanding of their family’s needs, then proceeds to the discussion, design, implementation and monitoring of the solutions that meet their family’s goals and priorities. Our focus is the client relationship. Our culture is rooted in the principle of always acting in our clients’ best interests. We believe wealth management is a relationship business grounded in client service. It is not a product, financial model, or market driven business; that kind of business is fraught with potential conflicts. Acting in our clients’ best interests is the shared principle of HBKS® Wealth Advisors (HBKS®) and our partner firm, HBK CPAs and Consultants (HBK). Our focus on the family and the client relationship, rather than the sale of a product or service, drives every aspect of our business. We don’t allow conflicts to affect our obligation to act in our clients’ best interests. Families need unbiased guidance, based on the best choices for the families’ goals, needs and desires, regardless of who is managing the assets. At HBKS® Wealth Advisors, we base our investment recommendations on the best products and services we can find anywhere. We attempt to cover all investment asset classes, regardless of who is managing the assets, and in many cases we work with other advisors for the benefit of the family. We structure fee arrangements to provide comprehensive, holistic advice most efficiently. HBKS® and HBK offer the collective expertise of CPAs, CFPs, PFSs and other professionals, ensuring the breadth and depth of financial knowledge required to serve wealthy families. The best wealth management comes from analyzing the interactions between investment strategy, tax planning, family wealth transfer planning and charitable giving. From investment and asset allocation, from estate and business planning; for tax expertise – working together with and on behalf of our clients is what sets us apart. Many firms claim to provide a high-level of service and unbiased advice, but few are actually capable of delivering strategic family planning and guidance. Our company is designed to provide coordinated objective guidance as the strategic advisor to our client families. We review your total investment assets, including illiquid assets and those managed by other investment firms. We have alerted families to liquidity issues related to generational transfers of assets and the consequential estate taxes. Changes made to the mix of family assets not only enhanced liquidity but added needed diversification. Key family advisors meet regularly with family members to discuss strategy and governance issues and identify investment opportunities. HBKS advisors prepare the agendas, moderate the meetings and manage the advisory team for a coordinated approach. Wealth management is a multi-generational endeavor; the meetings provide a venue for family members, with the support of advisors, not only to discuss important financial issues but to mentor future generations. We have helped families selling their privately owned businesses transfer, prior to the sale and without incurring gift tax, a sizable portion of their companies’ value to trusts for other family members. We have also assisted clients in the transition from relying on income from a privately owned company to income from a mix of tax-efficient portfolio assets. We help reduce recurring income taxes by collecting and analyzing mid and late-year tax information, which provides the effective and accurate information required to reap the benefits of pre year-end tax planning. We have worked with families and their advisors to make family trusts more tax-efficient and generate more income. 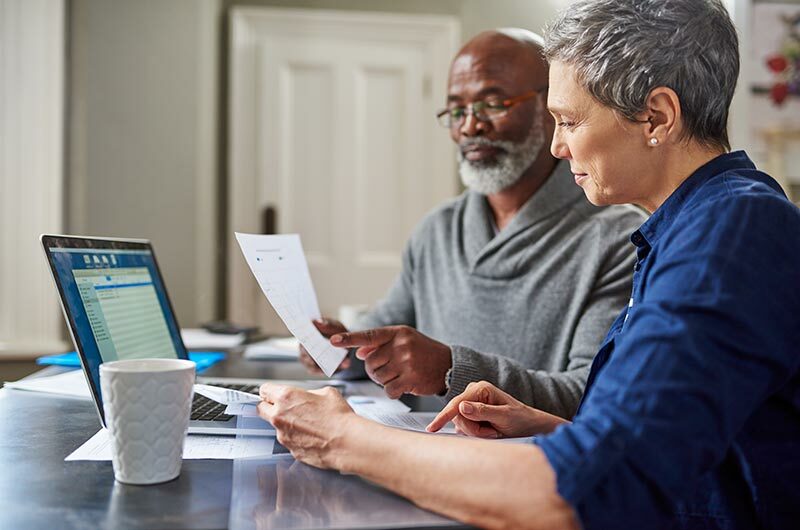 We recommend changes to estate plans designed to reduce estate tax liability and better align an estate plan with the family’s long-term goals. That can involve establishing a private foundation, gifting strategies, charitable giving and other creative estate planning techniques that distribute benefits even during the life of the benefactor. We integrate cash flow and tax planning to increase the tax efficiency of the net-after-tax cash distributed from retirement accounts, family trusts and other sources. Every family’s blend of investments, assets and objectives is unique. HBKS® Wealth Advisors provides family-specific strategic planning that enhances results, communication and family well-being. Dan Baer is a Principal and Senior Financial Advisor at HBKS Wealth Advisors in Naples,Florida. He joined Hill, Barth & King LLC (HBK) in 1979 and opened the Naples, Fla. office in 1985. In addition to his core work as an advisor to individuals and families, he has been instrumental in the company’s transition from a traditional CPA firm to providing a full-range of holistic financial services.